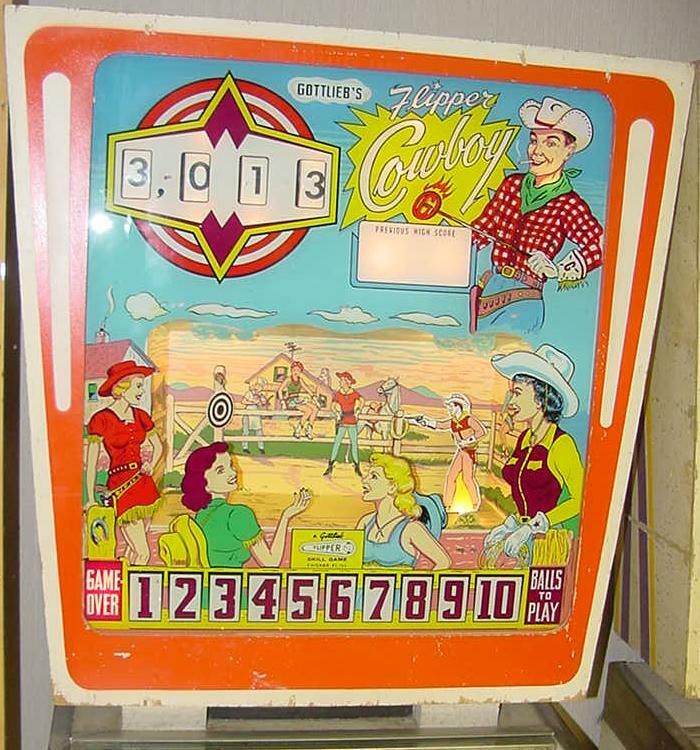 Description: Flipper Cowboy, 10/62, 1000 produced, NO GOBBLE HOLES, roto-target, mechanical backbox animation (cowboy shooting a target). 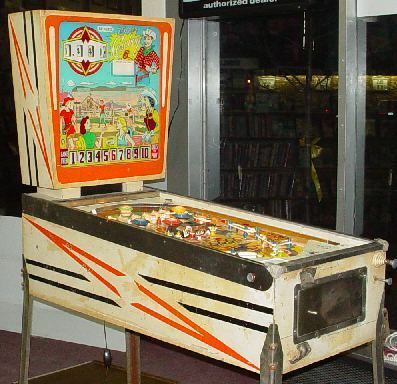 Roy Parker playfield and backglass pinball artwork. 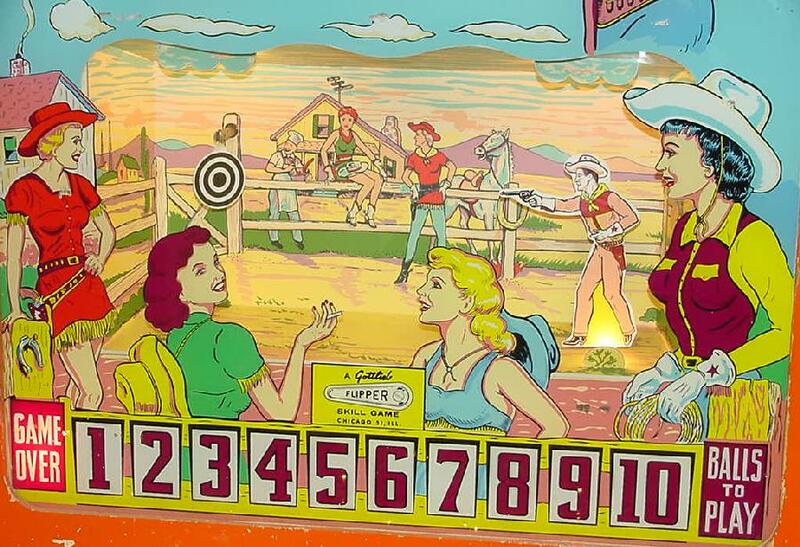 Same playfield design and basic backbox animation as Gottlieb Buckaroo and Gottlieb Cowpoke, but instead of a horse kicking a cowboy, the cowboy in Flipper Cowboy shoots a target. As the cowboy shoots he recoils back, and the target spins around. A very unique mechanical animation. Note the cowboy shoots when ever the 100 point score reel advances (so the top center rollover, which score 100 points). Game rules are pretty straight forward. Complete 5 of the roto-target numbers in a row to award a ball. 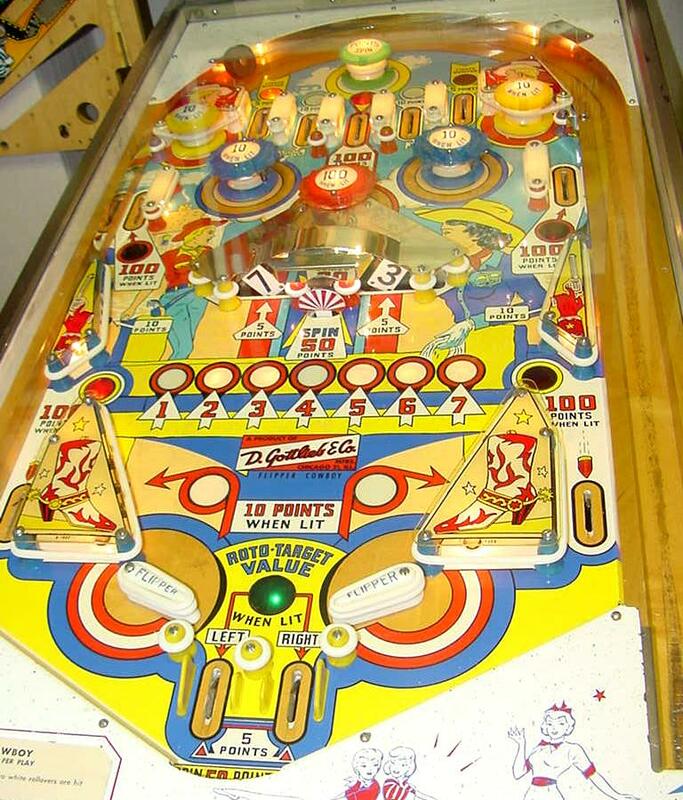 As the roto-target numbers are hit, they light up in a row on the playfield. Also the top A-B-C-D lights can be hit, lighting the top center rollover for a ball. There is also a red-dot roto target that will award a free ball.